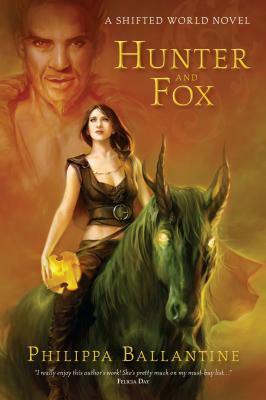 The second main character is Finnbarr the Fox (also called Finn), a tale-spinner. This character class is used mostly to drop information on the reader, especially in the beginning, especially about exactly how the Vaerli came to be. His initial goal is to tell the true story of the Vaerli to the Caisah’s inner circle, which of course brings him to the attention of Talyn. But, as we find out later, there’s more history between the two of them than even Talyn knows. In addition to Finn and Talyn, we also meet Talyn’s brother Byre, a persecuted Vaerli just trying to make his way through the world. He is used to address the more active methods the Vaerli are wronged. Then there’s Varlesh, Equo, and Si, friends of Finn’s who have a secret of their own. And Pelanor the blood-witch whose first task is to take down Talyn. And Nyree. And several other characters and races, including the Kindred — the ones who gave the Vaerli their power. And the Shifted World itself, Conhaero, which seems out to get the other characters from time to time. The writing style of Ballantine’s Order novels is clearly replicated here — there aren’t very many overlong paragraphs full of annoying exposition or declamatory dialogue. My electronic version had very small type, which made me thankful Ballantine’s style doesn’t include gigantic chunks o’ text. There’s less of the “participial phrase comma simple sentence” that I complained about in earlier reviews, which was nice. Her dialogue remains up to the task as well. However, the task in this novel is much greater than the task in the Order books. The world revealed through Hunter and Fox is not only massive but also complex; there are more races, more political issues, and more plans-within-plans. I’m not saying I don’t enjoy a good piece of political intrigue, but I honestly found my mind wandering sometimes while I was trying to read the novel. I’m not sure why that is — maybe it’s because this is more standard fantasy than urban or contemporary; maybe it’s because there were so many characters; maybe it’s because I recognized some of the tropes and decided “well, I just don’t care about these characters at the moment, but I still have to read the words”. One thing that did bother me about the book is that it ends on a cliffhanger. Not a literal one, per se — the characters don’t actually dangle from a ledge or anything — but the book doesn’t seem to end so much as stop. More than one of the Amazon reviewers specifically call that out, but I wasn’t expecting it to be quite as jarring as it was. I was left feeling unsatisfied when the book ended — I guess I just don’t agree with the place the author chose to stop. Fans of huge, sweeping fantasy epics who don’t want to slog through a thousand-page tome that weighs more than an extra-large sack of dog food will probably enjoy this novel, as will fans of Ballantine’s other works and readers who like epic fantasy — although they might be put off by the fact that Ballantine can write a good fantasy novel in 30 percent of the words that it takes someone like George R.R. Martin or Robert Jordan. However, I’m not sure if this was the right book for me. Lately I’ve been in the mood for more contemporary works, and works that are more humorous than serious, and maybe that’s why I found it so difficult to finish the novel in the first place. Plus, I guess I was expecting something a little narrower in scope, such as the Order books, and this book is the exact opposite of narrow scope. And then there’s the ending, as I mentioned. Still, I’m interested in finding out what happens next — especially given the novel’s stopping point — and the only way to do that is to wait for the follow-up. At least Ballantine puts out books at reasonable intervals, unlike some other authors we might name. And, hey, while we’re waiting for the next Shifted World novel, I’m thinking there’s a Book of the Order in the offing, and I’m really looking forward to that. Thanks to the novel’s publisher — Pyr Books, the sci-fi/fantasy imprint of Prometheus Books — for providing a review copy. * For certain values of eloquent.